locally run store has long been an anchor in the Stockdale Fashion Plaza, right new Cafe Med. 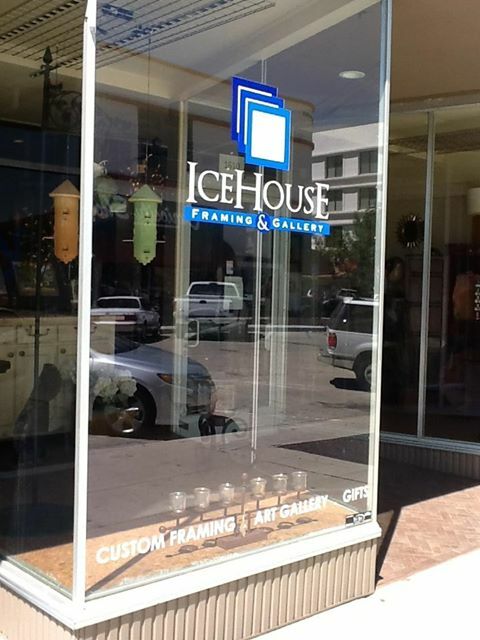 Another locally owned company, the Ice House Framing and Gallery, has benefitted from finding a new location downtown on 19th Street. Long time managers Al Mendez and Lance Jones told me the walk-in traffic has skyrocketed since the business moved from the iconic Ice House brick complex off the Garces circle to the arts district, just down the street from the popular new eatery and bar, The Mark. * ... ASHBURN: I ran into former state Senator Roy Ashburn the other day. Ashburn's life narrative is a compelling one: great achievement followed by a public humiliation and then a soul searching that has left him trim, focused and happy. 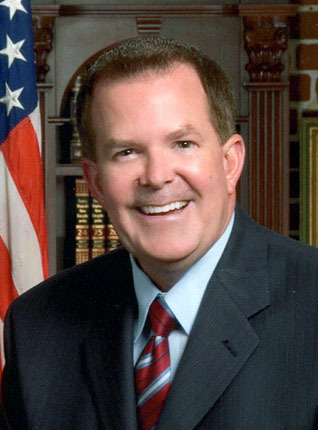 Ashburn will join me Tuesday at 9 a.m. on First Look with Scott Cox (KERN NewsTalk 1180 and video streamed live on Bakersfield.com) to talk about local politics and his view on how being openly gay may have contributed to his defeat in the 1st District Kern County Supervisor race. * ... HELMET CLUB: On the heels of the trouble that beset Bakersfield College and its Helmet Club, Garces Memorial High School launched its own football support group last week. Almost 200 people paid $250 each to seed the Hail Mary Club and dine on Luigi's best steaks. While the precise mission of the organization is unclear, the spirit, devotion and dedication of the community to Garces football is not. As long as the Hail Mary Club plays by the rules, the football program will benefit from such strong support. * ... AIR POLLUTION: Gerhard Schmidt wonders how wise it is to see long lines of cars, idling, while waiting in line at the Costco gas pumps. "Even in nice weather, cars in long lines sit there idling, waiting for a pump. Well yes, there are lots of wimps who can’t stand a few minutes of heat this time of the year. Experts say that turning off the engine while waiting also saves fuel... or are they all trying to help the oil industry? But didn’t they join Costco to save money?" * ... GLEANERS: Here's a fund raising event that is worthy of your attention. On Friday, September 13, The Petroleum Club and Imbibe Wine and Spirits will be sponsoring a barbecue to raise money for the Golden Empire Gleaners. For $25 you will be treated to a barbecue dinner and a complimentary glass of beer or wine in the parking lot of the Petroleum Club. It will run from 4:30 p.m. to 7:30 p.m.
* ... MEMORIES: Another special memory of growing up in the old Oleander area, compliments of Bettina Belter. "I was raised on the corner of Oleander and Buena Vista, attended Roosevelt Elementary, kindergarten through sixth grade. My childhood friends Bettye and Patty Dremel and myself were at Gus's any day of the week that ended in 'y.' We would take our wagon and gather soda pop bottles and make our way to collect our bounty from Gus. We redeemed those bottles and they in turn redeemed us with brown paper bags full of candy... the Chum gum was my favorite, two sticks for a penny. We would then make our way to Beale Park and swim until we were raisins playing mermaids. On your birthday you got to pick any piece of candy you wanted, some of us had two birthdays in a year. Gus and his wife Sally were part of many of our childhoods, and they served us well." Instead of asking Ashburn if being openly gay hurt his chances with local voters, how about you ask about selling out gay people with anti-gay votes, driving drunk in a government car, and, oh, yeah, taking a high-paying do-nothing job in Sacramento from Gov. Schwartzenegger. A guy sucking on the government teat for so many years...maybe the local folks had had enough.